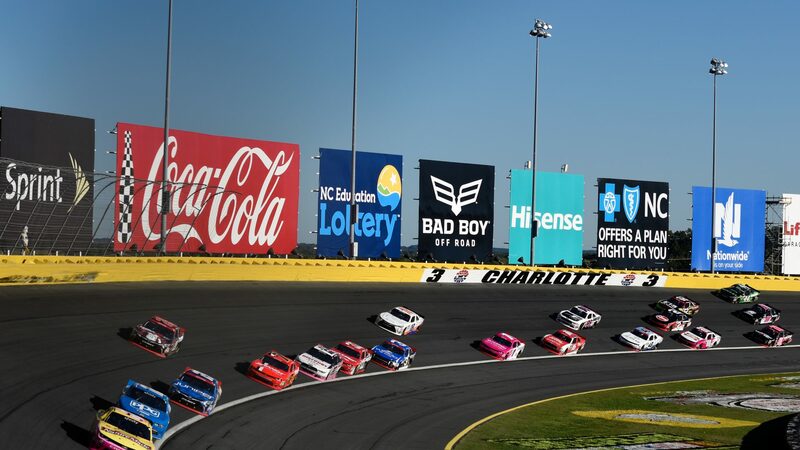 NASCAR will this weekend travel to Concord, North Carolina for a double header at Charlotte Motor Speedway. NASCAR Xfinity Series and Monster Energy NASCAR Cup Series will race this weekend while the Truck Series is off. Charlotte Motor Speedway, formerly Lowe’s Motor Speedway (1998-2009), opened for racing in 1960. The track is 2.4 km (1.5 mile) long quad-oval. Surface is asphalt with four turns. Banking in turns; 24°, straights 5°. Track record, for NASCAR Series, is held by Kurt Busch with 198.771 mph (qualifying) in October 2014. Most wins by an active driver at Charlotte Motor Speedway is Jimmie Johnson (34 races) with 8 wins. The stands currently capacity are 89000 seats. New for this year is a ROVAL (road course & oval) race at Charlotte. Bonus facts. Youngest Pole Winner: Jeff Gordon, 22 years, 2 months, 6 days, 10/10/1993.